Fife is a small city of about 9,000 people in northern Pierce County. It is part of western Washington and borders Tacoma and the Port of Tacoma in the Puget Sound. Neighboring cities include Milton, Edgewood, Puyallup, and Federal Way. The city is about 28 miles south of Seattle and 15 miles north of Joint Base Lewis-McChord. 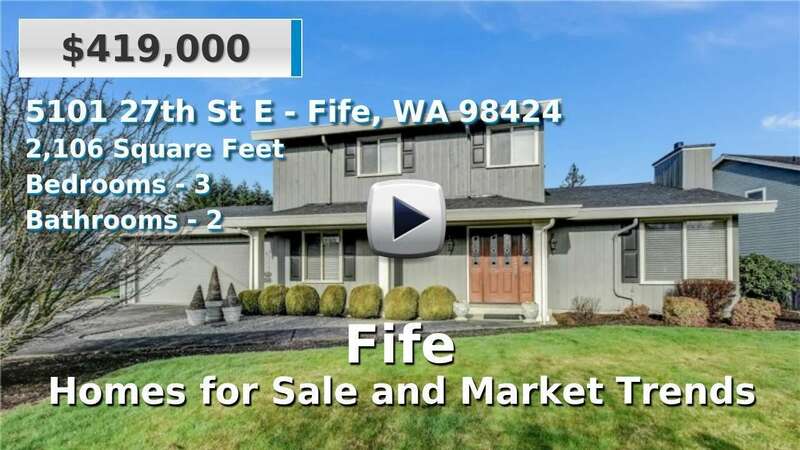 Fife is made up of several industrial, business, and commercial complexes, as well as residential neighborhoods. Homes for sale are mostly single-family residences; some neighborhoods are more densely populated than others but this is a largely urban and suburban city between Tacoma and Seattle, two of the major metro areas of the Pacific Northwest. 3 Beds | 2 Baths | 1947 sq. Ft.
5 Beds | 2.75 Baths | 3628 sq. Ft.